Please read the terms and conditions of the disclaimer carefully. This is a legally binding agreement between you and Karina Fincap Limited, establishing the terms and conditions under which this web site may be used. By accessing this web site, or any pages thereof, and/or using the information provided on or via this website, you agree to be bound by this disclaimer and the terms contained therein. In the event of any conflict between the terms and conditions of specific products and services and this disclaimer, the conditions specific to such products and services shall prevail. The Content (material, information, data, Money Market movements, news items, etc.) contained on this web site is provided for general information only and should not be used as a basis for making business/commercial decisions. You are advised to exercise due caution and/or seek independent advice before entering into any investment or financial obligation based on the Content contained on this website. The Content contained in this site, including text, graphics, links or other terms are provided on an "as is", "as available" basis and are protected by copyright. You may not distribute text or graphics to others without the express written consent of Karina Fincap Limited. You may not copy, download, publish, distribute or reproduce any of the Content contained on this website in any form without prior permission of Karina Fincap Limited. The Content on this web site should not be regarded as an offer, solicitation, invitation, advice or recommendation to buy or sell investments, securities or any other instrument or financial products/ schemes of Karina Fincap Limited, its subsidiary companies or any of its affiliates. Use of the products or services described at this web site may not be permitted in some countries and if in doubt, you should check with your local regulator or authority before requesting further information on such products/ services. Products and Services are available only at the discretion of Karina Fincap Limited, subject to the individual contractual terms and conditions of products and services on which they are offered and such products and services may be withdrawn or amended at any time without notice. The full range of products or services may not be available in all locations. 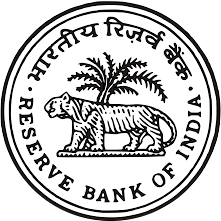 Prime Lending Rate for various financial schemes and interest rates cited as examples of rates which may be in effect from time to time are indicative rates only and are subject to change at any time at the sole discretion of Karina Fincap Limited, its subsidiary companies, and its affiliates as the case may be, and applicable Indian laws. No information sent to any client through this web site or available on this web site shall constitute any representation or warranty by Karina Fincap Limited, or its subsidiaries or affiliates regarding the credit-worthiness, financial performance or prospects, solvency, or viability of any company or other legal entity or the business carried on by such entity. This website may contain advice/ opinions and statements of various professionals/ experts/ analysts, etc. Karina Fincap Limited does not represent/endorse the accuracy, reliability of any of the opinions/ statements/ information by such person. Reliance on these statements shall be at the risk of the user of this web site. It is the responsibility of the user of this website to independently verify and evaluate the accuracy, completeness, reliability and usefulness of any opinions, services or other information provided on this web site. All information in this web site is being provided under the condition and understanding that the same is not being interpreted or relied on as legal, accounting, tax, financial, investment or other professional advice, or as advice on specific facts or matters. Karina Fincap Limited may at any time (without being obliged to do so) update, edit, alter and or remove any information in whole or in part that may be available on this web site and shall not be held responsible for all or any actions that may subsequently result in any loss, damage and or liability. Nothing contained herein is to be construed as a recommendation to use any product or process, and Karina Fincap Limited makes no representation or warranty, express or implied that, the use thereof will not infringe any patent, or otherwise. The user/client is expected to keep abreast of any changes made in this web site and the information available on it on a regular basis and Karina Fincap Limited undertakes no responsibility about advising the user/clients about any such changes. Though Karina Fincap Limited will endeavour to ensure that information contained on this web site is obtained from sources which, it feels, are reliable, Karina Fincap Limited does not warrant such information's completeness or accuracy. Karina Fincap Limited, its subsidiary companies, its affiliates, and their directors and employees (Entities) accept no liability and will not be liable for any loss or damage arising directly or indirectly (including special, incidental or consequential, punitive, or exemplary loss, dam age or expenses) from your use of this web site or any linked site or inability to use by any party, howsoever arising, and including any loss, damage or expense arising from, but not limited to, any defect, error, omission, interruption, imperfection, fault, mistake or inaccuracy with this web site, its Contents or associated services, or due to any unavailability of the web site or any part thereof or any contents or associated services even if the Entities are advised of the possibility of such damages, losses or expenses. Karina Fincap Limited, retains all rights (including copyrights, trademarks, patents as well as any other intellectual property right) in relation to all information provided on or via this web site (including all texts, graphics and logos). This website may contain links to other websites of subsidiary companies and affiliate companies of Karina Fincap Limited. ThisWebsite may also contain links to external websites, having further linked websites, controlled or offered by third parties (Non-Affiliates of Karina Fincap Limited), in order to help you find relevant websites, services and/or products which may be of interest to you, quickly and easily. The contents displayed or products / services offered on such linked websites or any quality of the products/ services are not endorsed, verified or monitored by Karina Fincap Limited. Karina Fincap Limited is also not responsible for the owners or operators of such external websites or for any products or services they supply or for the contents of their websites and do not give or enter into any conditions, warranties, express or implied; or other terms or representations in relation to anyof these or accept any liability in relation to any of these (including any liability arising out of any claim that the content of any external website to which this website includes a link infringes the intellectual property rights of any third party). This web site and disclaimer shall be governed by and construed in accordance with all applicable laws of India. All disputes arising out of or in connection with this disclaimer or use of this website shall be submitted to the exclusive jurisdiction of the courts of Delhi. Karina Fincap Limited reserves the right to change the information provided on or via this web site, including the terms of this disclaimer, at any time and without notice. However, Karina Fincap Limited shall not undertake to update the Content contained on this web site from time to time. It is recommended that you review the information provided on or via this web site, including the terms of this disclaimer, periodically for changes. Karina Fincap Limited shall not be held responsible for all or any actions that may subsequently result in any loss, damage and or liability on account of such change in the information on this website.